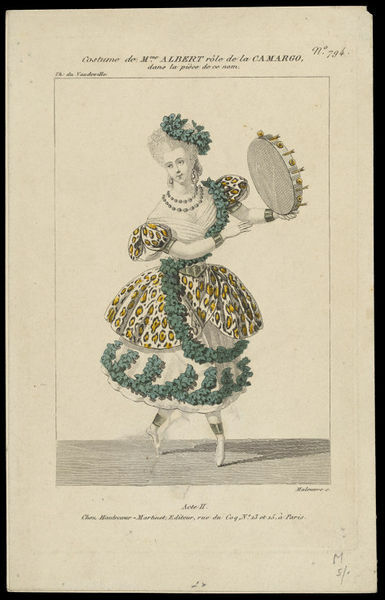 Print depicting Madame Albert in costume as Camargo in Camargo. Published in Paris by Hautecoeur Martinet. 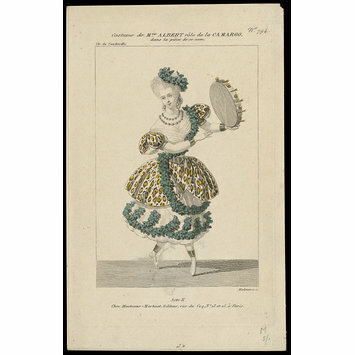 Hand coloured and engraved portrait of Madame Albert in costume as Camargo in Camargo. 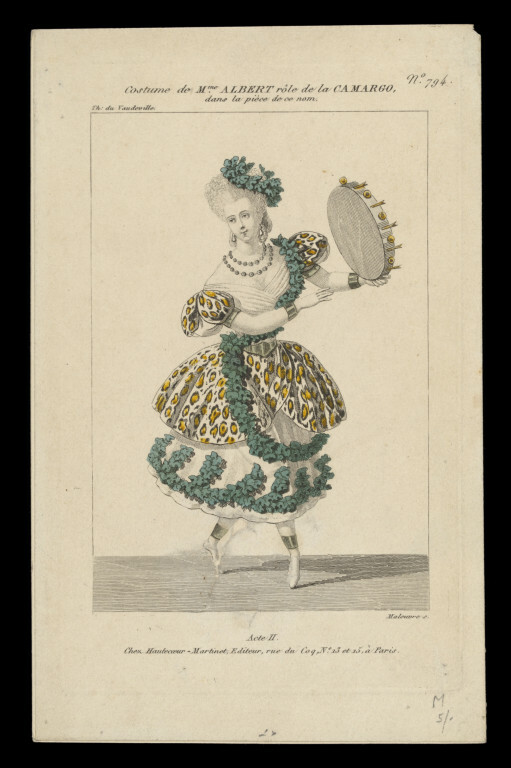 Print depicting Madame Albert in costume as Camargo in Camargo. Published in Paris by Hautecoeur Martinet, ca. 19th c. Harry Beard Collection.